To the relief of holidaymakers who will have been anxiously checking their travel insurance policy, a strike by Virgin Atlantic pilots has been called off. 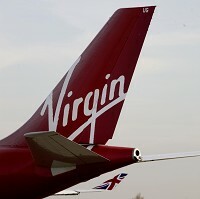 The British Airline Pilots Association (Balpa) said a new offer, which it received from Virgin Atlantic, will be presented to its members for vote. Jim McAuslan, general secretary of Balpa, said: "Pilots have never wished to inconvenience the travelling public, especially those looking forward to summer holidays." The latest news will remove the concerns of people who are planning to go on holidays this summer. Holidaymakers were earlier worried of facing travel disruptions after Balpa's Virgin members voted in favour of their first strike action in the airline's history in a row over pay. Virgin Atlantic said: "The threat of strike action has now been removed and our flying schedule remains completely unaffected."